Founded in 1988, Santa Fe Veterinary Clinic has been providing quality veterinary care for Edmond's pet population for over twenty-five years. We outgrew our last location and have now moved to our spacious 3300 square-foot new facility. 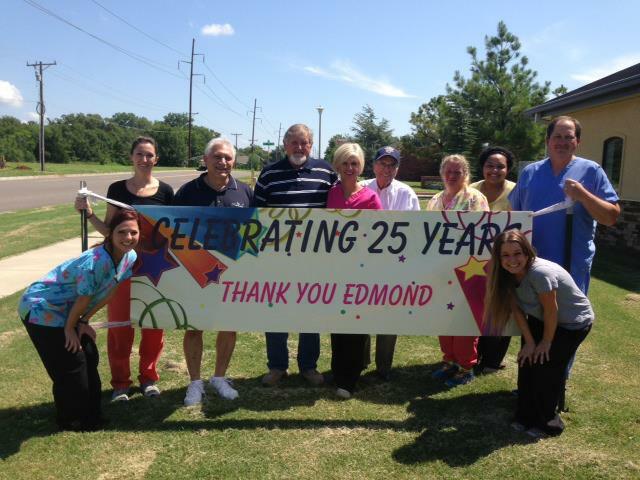 Rest assured that even in the new location, our clients will continue to receive the same high quality, compassionate, and friendly medical care they have grown accustomed to over the past twenty-five years! Although we do offer same-day appointments when available, we encourage making appointments as far in advance as possible. Boarding space fills up fast, too, so reserve yours today! Our friendly staff will be happy to answer any questions you have regarding scheduling or your pets medical needs.